The Intelligent Transportation Systems (ITS) program leverages new technologies to improve traffic operations and monitoring capabilities for all modes of travel throughout the County. The focus of the program will shift from infrastructure construction to better integrating the various systems to improve safety and capacity. County ITS can improve transparency and provide valuable information to partner agencies such as VDOT. There are two major corridor projects currently active within the ITS program – Glebe Road ITS Improvements and Lee Highway Corridor Improvements. Both projects are funded through a regional grant provided by the Northern Virginia Transportation Authority. 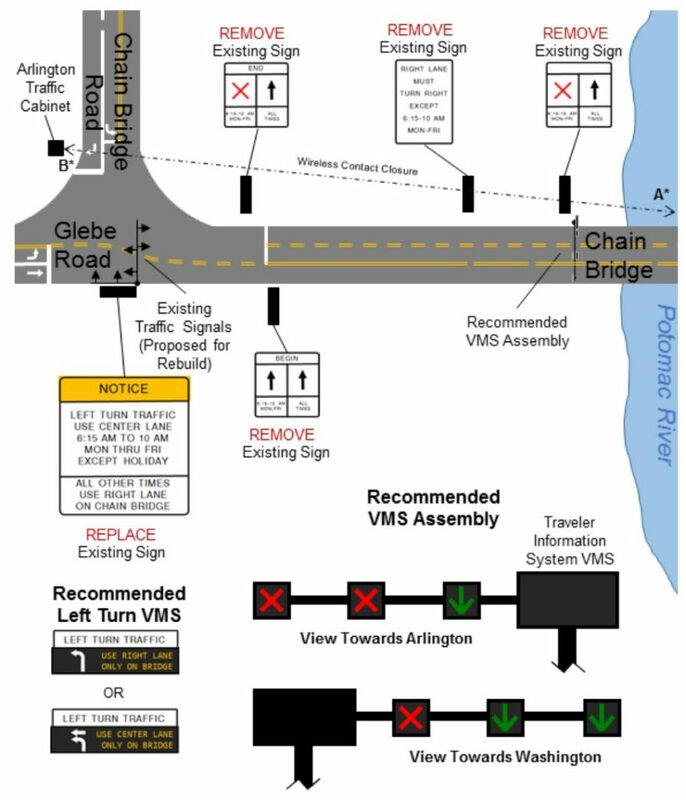 Project Area: Includes most of the signalized intersections along Glebe Road from the northern end at Chain Bridge to the I-395 ramps to the south. Background: This project includes several initiatives along the Glebe Road corridor, including new ITS equipment deployment, new reversible lane control and signal infrastructure at Chain Bridge, and transit signal priority for selected areas. 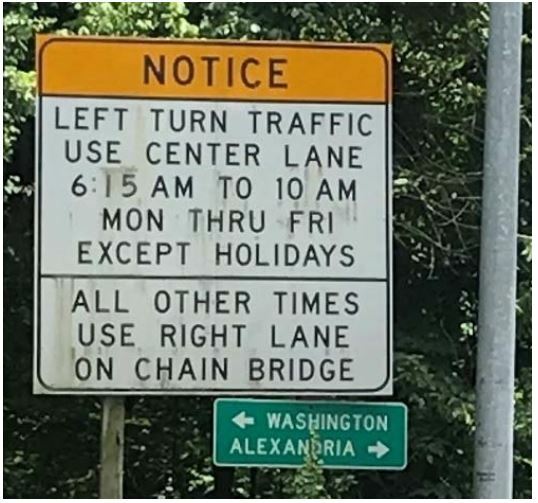 The major construction portion of the project will occur at Chain Bridge. 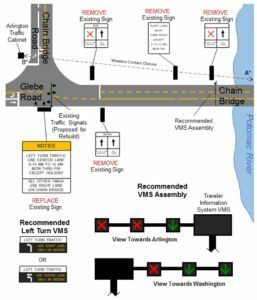 The project will include the replacement of the existing traffic signal at Chain Bridge and improved signage and reversible lane infrastructure to improve safety. Additional improvements to the communications and interagency operating capabilities with the District Department of Transportation are also planned here. 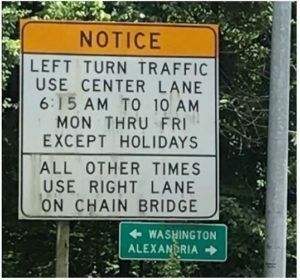 Status: Portions of the Glebe Road project are underway, but the main construction at Chain Bridge is anticipated to begin in fall 2018 and be complete in spring 2019. 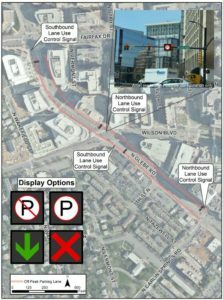 Project Area: Includes most of the signalized intersections along Lee Highway from East Falls Church to Rosslyn. The signal upgrades will be staggered and constructed independently. 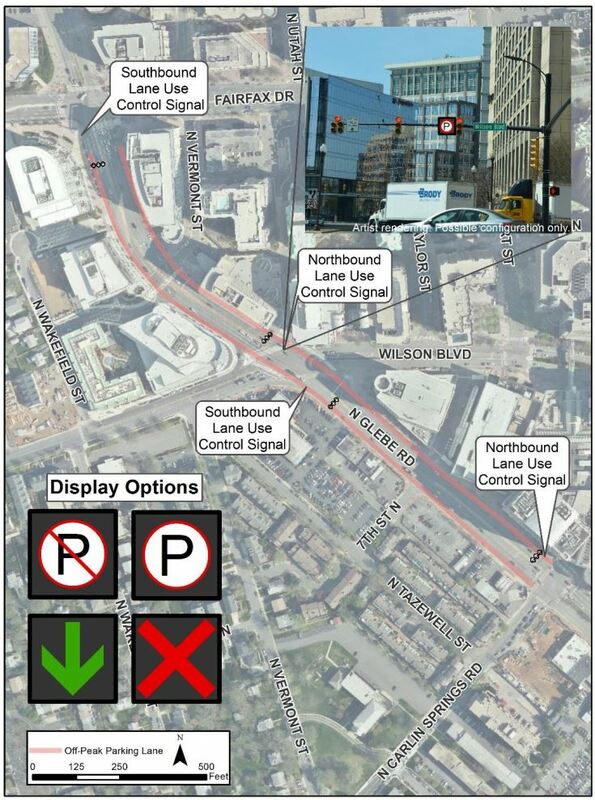 Refer to the original concept schematic for more details on the proposed improvements. Status: ITS equipment deployment is underway. Most of the infrastructure portions of the project are currently in design. Construction is anticipated to begin in summer 2018. This project website will be updated as the project progresses. Since this project focuses on infrastructure and systems integration, the final plans for major construction components will be posted online prior to construction. The community will be notified in advance of construction-related activities.